College is expensive and it keeps getting worse. Tuition and fees at public colleges have climbed faster than inflation, rising 17% over the past five years to an average $9,139 per year. That’s not including the price of room and board. Students are leaving four-year schools with an average $28,400 of debt and entering a job market that is recovering, but still presents plenty of challenges. The common consensus is that the higher-education system must fix itself. There is a workable alternative: Employers should stop requiring formal credentials wherever the law doesn’t mandate them for a job. This might sound like a crazy idea but it’s not. At my company, Zoho, about 15% of our 2,500 employees do not have college degrees. We are a privately held cloud software provider, and because we plan to stay private and don’t have to answer to outside shareholders, we have the freedom to experiment with new ways to build our workforce. We’ve had incredible success hiring workers right out of high school. Recruits spend 18 months in a rigorous hands-on program that is part apprenticeship, part education. About 90% of the incoming students graduate and become full-time employees who get placed on one of our software product teams. The success of the program has given us a high-quality workforce that is passionate and dedicated. Our employees give Zoho a major advantage in our hypercompetitive industry. We started with a modest program nearly a decade ago, when we recruited six students from nearby high schools in our Chennai, India, office and trained them in software development. This year we had 90 students in our incoming class in two different locations — one in India and one in the U.S.
Companies interested in adopting our model should start with a small pilot program — about five to 10 students working with one or two experienced teachers (who should ideally come from the existing workforce). The program’s faculty should consist of employees who have plenty of work experience but who are also passionate about mentoring young people. The curriculum should be very hands-on and relevant to your core business. This keeps the students motivated and helps them stay focused. I can imagine the naysayers questioning this kind of program. Isn’t college about more than just work skills? Don’t young people need to learn to be critical thinkers who can grow into future leaders? I agree that college is about more than just getting a good job, but the truth is that for the majority of students, a college education adds little meaningful value. Many students are unfocused when they enter college and equally unfocused when they leave — with a heavy debt that needs to be repaid, to boot. Most of us who have been through college can identify with this: How many of us can honestly say we paid attention to our classes or have any recall of what we learned in college five or 10 years out? It is undeniable that the most important reason students pay the steep price for college is to land a good job. Our experience teaches us that we can separate out the skill-building part of education and offer it in a much more efficient and responsible way that helps both students and employers. This idea is not as radical as it sounds. In countries like Germany, employers, through extensive apprenticeship programs, have always been a major resource for skill development. As a direct result, Germany has one of the most productive and highest-paid workforces in the world. Teaching young workers on the job is a good thing to do in and of itself. Learning is a lifelong process, particularly for today’s knowledge-intensive workforce. It is also a good thing for employers. Employers that invest in skill development gain a competitive edge, something that our experience at Zoho amply demonstrates. 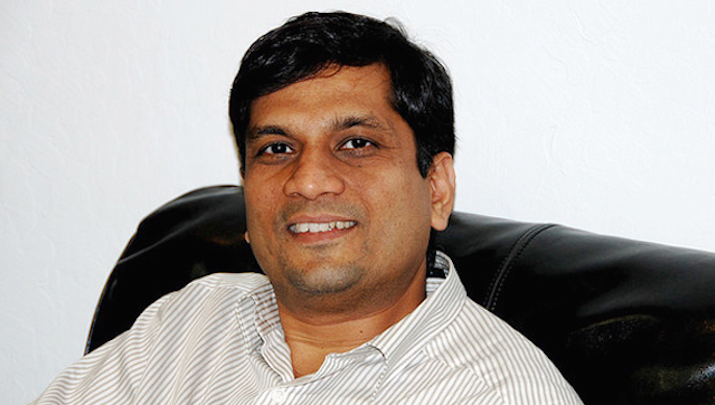 Sridhar Vembu co-founded Zoho, which provides a leading integrated suite of cloud applications for business. In a fiercely competitive market, Zoho has pioneered an alternative model of education and recruitment known as Zoho University. Zoho is a private company that has not relied on any outside funding.